« Snow on the way? Looks like a good chance! NOAA Still Sees Above Average Temperatures for Most of the U.S. and Below Normal Precipitation Across the South. Colorado Expected to be Warmer, Average Precipitation. 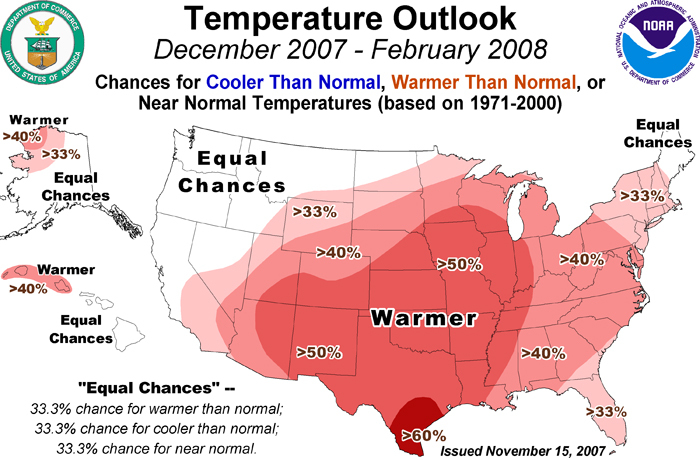 NOAA released its final 90 day winter forecast and little changed from earlier predictions. For Colorado that means the likelihood of warmer than normal temperatures, particularly in the southern part of the state. 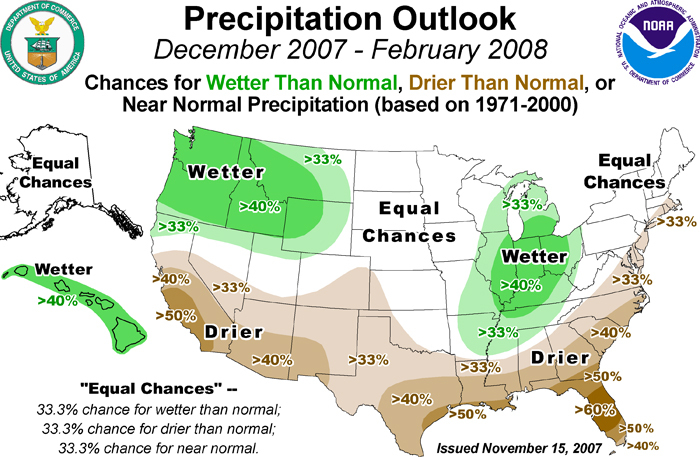 In terms of precipitation, they foresee equal chances for normal, above and below normal moisture while southern Colorado remains dry. Click here to read the complete report from NOAA. This entry was posted on Saturday, November 17th, 2007 at 2:00pm MDT and is filed under Climatology, Colorado Weather, Thornton Weather. You can follow any responses to this entry through the RSS 2.0 feed. You can skip to the end and leave a response. Pinging is currently not allowed.